HRD Strategies, VP of Talent Management and Development, Julie Malloy Copeland, will be presenting at the Alamance County Chamber Women’s Symposium on March 2, 2016 from 8am-1pm. This year’s Women’s Symposium will feature keynote speaker Jessica Turner, author of the best-selling book, The Fringe Hours : Making Time for You. Julie Malloy Copeland, Dr. Gail Hayes and Karen Silverberg will be speakers at the event. Presentations will be on leadership, wellness, and your personal brand. The Panel Discussion will be moderated by Naeemah Clark. General Registration Includes: Continental breakfast, access to vendors, table talks facilitated by the area’s top female leaders, guest speakers on hot topics for working women, moderated panel session, seated lunch with keynote address by Jessica Turner. 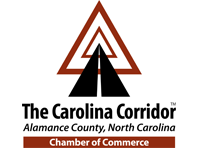 For more information about the event, visit the Alamance County Chamber website.